Darren Clarke failed to hole the putts when it mattered as South African Charl Schwartzel cruised to his second European Tour victory on the trot in the Joburg Open. 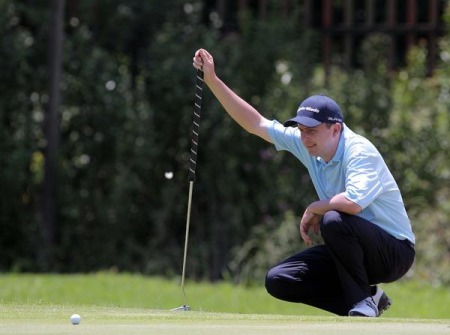 Four strokes clear overnight, the 25-year-old followed his one-shot Africa Open win last Sunday with a six-stroke triumph over Clarke and Keith Horne at Royal Johannesburg and Kensington. Clarke earned €119,730 but he was left to rue some expensive mistakes midway through the front nine. While he chipped in for eagle on the last to tie for second place with Horne, the Ulsterman could easily have closed the gap to one on the long sixth, but missed from six feet after Schwartzel had made a 25-footer. Inevitably, the Ryder Cup star then three-putted the next and he knows that he must become more clinical on the greens if he is to have any chance of earning a sixth cap under Colin Montgomerie in October. The Irish performance of the week arguably came from Co Down resident Simon Thornton, who tied for 17th place just two weeks after the death of his father. Thornton, who returned to Europe for the funeral, closed with a two under par 69 to finish on nine under par and earn €15,930 in just his second start since he graduated from the Qualifying School. Michael Hoey tied for 25th on seven under after a two over 73. 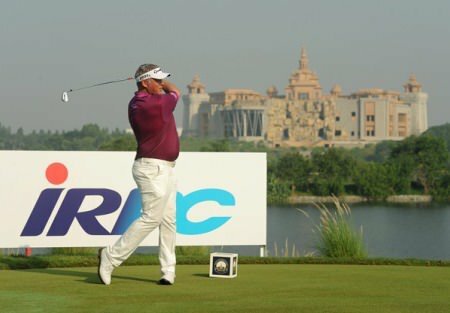 Wind specialists Darren Clarke and Simon Thornton flourished on a blustery opening day to keep leader Raphaël Jacquelin in their sights at the Volvo Golf Champions in South Africa.